http://youtu.be/HxmqxJXrljk Nicholas made his first cooing sound two weeks ago and is now moving on to these longer adorable mini phrases. 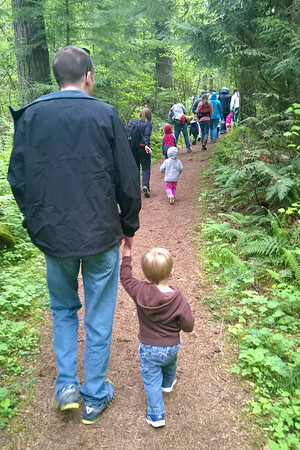 Today we completed our first family of 4 hike with Cooper’s toddler school. 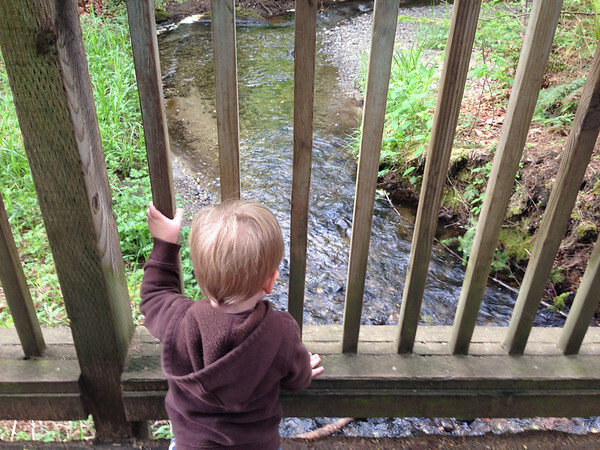 Farrel-McWhirter Farm Park is located in the city of Redmond and has a petting farm in addition to the hiking trails. Cooper was motivated to keep walking in search of “more water” after we crossed a bridge over a stream at the beginning of the hike.